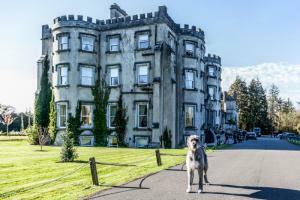 Ballyseede Castle, one of the best known Castle Hotels in Ireland, has a history dating back to the 1590's. Set in 30 acres of native woodland Ballyseede has been transformed into a magnificent hotel. The 23 elegant and spacious guest rooms within the original castle, offering comfort, privacy and impeccable service. located in Tralee on the gateway to the Ring of Kerry and Dingle Peninsula, just 8 miles from the Kerry Airport.